PA State - 2nd place, Region 7 - 5th place. Welcome to Rhythmic Gymnastics program! Rhythmic gymnastics is an Olympic sport that combines ballet, dance, with expressive movement and apparatus manipulation of the ball, clubs, hoop, ribbon, and rope. This sport is perfectly balanced for developing flexibility, strength, and hand/body-eye coordination. Rhythmic Gymnastics, a symbiosis of art, aesthetic and beauty, paired with highest performances, is a true women's sport and belongs to the most attractive and beautiful disciplines. The main characteristic of Rhythmic Gymnastics as a compositional discipline is the connection of the most difficult acrobatic movement elements which require a very high corporal flexibility and motor activity and which are presented by the gymnasts in perfect harmony with the music chosen for the exercise. 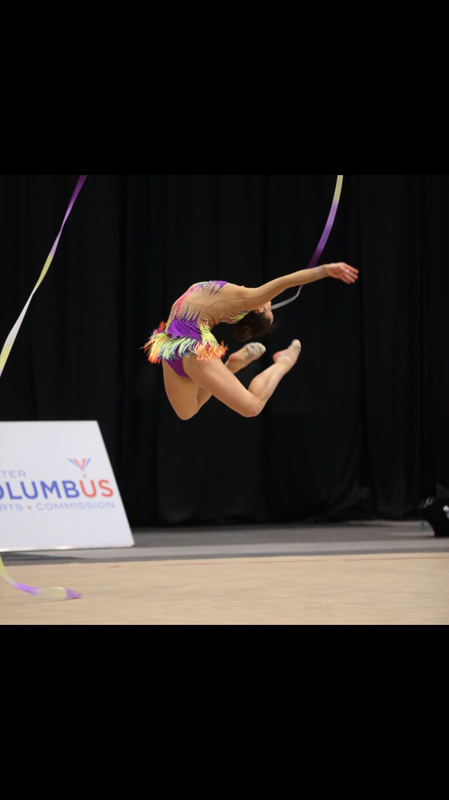 Both recreational and competitive gymnastics programs promote strength, flexibility, endurance, confidence, fitness and fun. While recreational (non-competitive) programs are fitting for anyone, competitive programs usually require an invitation to join after being evaluated by a qualified coach. hoops, ropes. Classes are 1 hour, 1-2 days a week. No prior gymnastics or dance experience is required at the beginner level. Pre-team: Level 3 - first competitive level. Pre-team is a stepping stone between recreational classes and our competitive team. 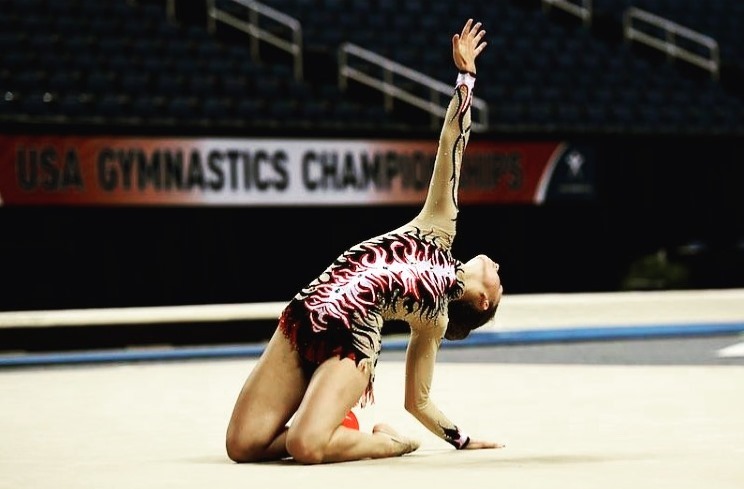 After mastering the skills at level 1-2, they will have the opportunity to be selected for the competitive team and represent ASCA at USAG sanctioned competitions. This level is also appropriate for new students who have prior gymnastics experience. 1,5 hour classes, 2-3 days per week. Team: practices 6 (+)hours a week. Speak to your child about listening to the instructor and following directions . Please advise your child that she must never attempt a new skill or use an apparatus with out permission from the instructor . Please check and make sure that child uses the bathroom prior to beginning of the class . Please make sure that your child has a plastic bottle of water placed next to her equipment. Dress Code: Girls should wear a leotard, shorts or tank top and shorts, or tight leggings/tights, Loose clothing should not be worn after warm up. Please no skirts, baggy shirts or jeans. Bare feet or shocks are allowed for recreational classes. At team level socks for warm up only. Toe shoes are required. Long hair must be pulled back, in a ponytail, braid, or bun, off the face. No loose jewelry (small earrings are acceptable). Please arrive to your class 10 minutes earlier. No one except a gymnast and a coach is allowed in the gym. While we appreciate our parents and all that they do, we insist that parents remain outside the gym in a designated parent area during training as your presence can be distracting to other girls as well as your own. Thank You! Instructor is available to discuss aspects of the program, ability level and progress only after the class . We reserve the right to cancel or change program schedule. It is the parents responsibility to be aware of all changes due to observance of national and religious holidays and make up days if any .